This week we published the KLM traffic figures for the first quarter. Despite facing various operational challenges, we succeeded in welcoming nearly 10% more passengers than we did in the first quarter of 2017. We may be proud of this result; we’re on a roll! That said, I hope you’ll join me as I share more good news from the past weeks. This morning I returned from China, where I joined Prime Minister Mark Rutte and four other Dutch cabinet members on their trade mission. Last Wednesday, we met with our partner China Southern Airlines in Guangzhou. Among other things, we discussed the good ties between China Southern and KLM and the possibility of intensifying our partnership. On Thursday we continued our visit with a roundtable meeting in Beijing, where I spoke with the Chinese Minister of Trade together with CEOs from 14 other Dutch companies. During our meeting, participants emphasised that growth opportunities at Schiphol are essential if the Netherlands hopes to retain its status as gateway to Europe. Furthermore, the meeting offered me lots of new insight into the commercial vision of other companies on the Chinese market. On Easter Sunday, after a long and intensive period of preparation, the Reinvented Flying Blue programme was launched. All participating teams worked hard to ensure that the rollout went smoothly. The reinvented programme introduces a new Flying Blue identity, where “Ivory” members have become “Explorers”. We also fully upgraded the flyingblue.com website and added new Flying Blue pages to the KLM and Air France websites. I’d like to thank all of the teams that took part in this important project. The renewal of the Flying Blue programme offers a great improvement for our most loyal customers. In recent months, we experienced various operational disruptions, including an IT glitch at Schiphol and poor weather conditions in Europe. 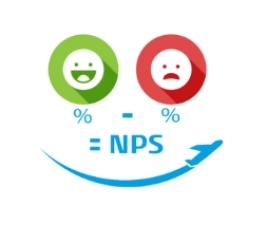 This cast a wet blanket on customer satisfaction, but on Sunday, 1 April, we managed to score an NPS of 50, which is the highest score this year! On one KLC flight, we achieved an NPS of 60, and in KLM Business Class we even saw our NPS peaking at 70 and 71! This brings our NPS for the first quarter to an average of 40. That’s 3 points under our target, but we’re on the right track. My compliments to everyone who worked so hard to minimise inconvenience and went that extra mile, day in and day out, ensuring the satisfaction of our passengers. Customers also expressed their appreciation in other ways in recent weeks. At the annual Air Cargo Excellence Awards, Air France KLM Cargo won a Gold award in the “1 Million Tonnes and Over” category. This prestigious award is based on an evaluation by freight forwarders, cargo agents and third-party logistics services providers – a trade award if ever there was one! Congratulations to the entire AF-KL Cargo team on this excellent achievement. This week KLM also won awards for passenger services. According to Tripadvisor travellers, KLM is one of the 10 best major European airlines. KLM is also among the top 10 airlines with best Business and Economy Class. These awards are based on millions of ratings and opinions submitted by travellers from around the globe. As you can see in the title to this column, I feel it is important to express appreciation for such achievements. This appreciation is of course expressed by our customers, but also between colleagues. Not only for running and improving our daily business, but also for moments – such as during days of strike -, on which frontline colleagues of both KLM and Air France do everything in their power to limit the impact thereof. Your unwavering dedication confirms my belief that even in the face of challenges, we will pursue this positive trend of the last quarter going forward.